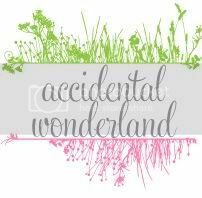 Accidental Wonderland: Blogging Every Day in May. Sorta. My Life. Late to the party as usual. Better late than not attend, right? 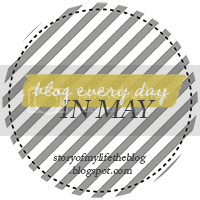 I'm talking about the 'blog every day in May' challenge. I like the challenge, it's my blog and I'm going to join in. Late. I'm like that. I'll be posting twice a day until I'm up to date. I'd apologise for the overabundance of posts but I haven't posted regularly for a while so I'm not sorry, not one little bit. Day one: The story of your life in 250 words or less. I'm an almost 27 year old mother of a boy and a girl, both under four, a partner to my amazing de-facto and a friend to some wonderful people. I was born, raised and live in Brisbane. Northside FTW! My parents divorced when I was in primary school and I lived with mum, her friend (who was lead singer in a band) and my many loved cats. The life of an only child. I went to two primary schools and I still am in contact with people from both, they'll always be in my life. By choice. My high school days were fun and very social. I loved my friends more than my schoolwork and it showed. I value my school friends and I hope they know that. After school I worked for a year then studied a Diploma of Community Welfare Work. I desperately wanted to study psychology but found the partying lifestyle too busy to study as well so I dropped out and worked full time. I met my man at a club in 2008, our best friends were the same but we had never met. Within six months, I was pregnant and we were living together on my old work's mango farms. Since then we've added to and completed our family, moved houses many times and both found roller derby. I've dabbled in studying and am returning not to study psychology but accounting instead. My life may be boring, dull and strange for some but I like it. That is one long paragraph.